Check out our farm listings in the Ocala Marion County area. 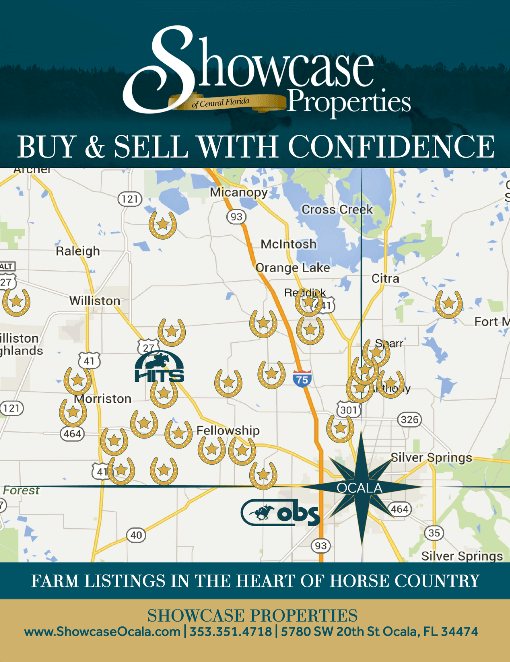 If your looking to buy a horse farm in Ocala, we sell it all. We offer an array of properties from 5-acre mini farms to turn-key training facilities. For more details on these properties, peruse our current farm listings. To narrow your search we’ve provided you with quick links to our farms over and under $500,000.